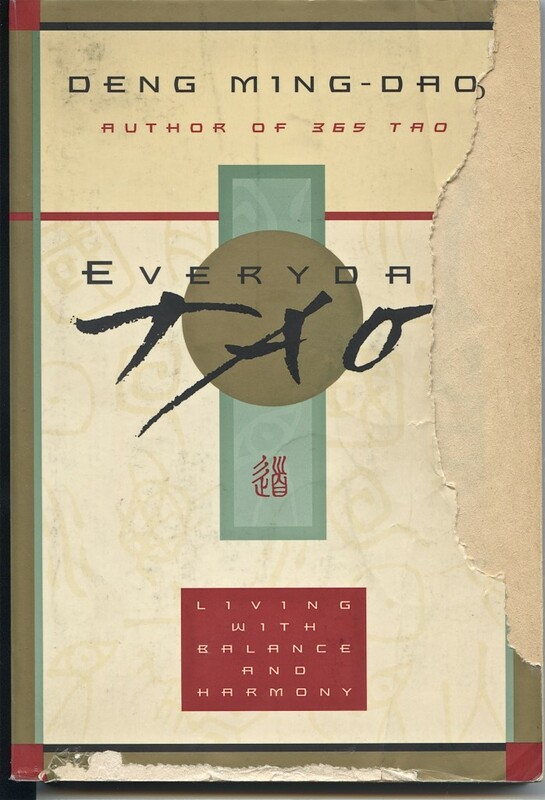 In Everyday Tao, writer Deng – Ming – Dao introduces us to the ‘living path’ through fifteen parts that concentrate on the spiritual systems of everyday living. My copy is well worn with yellowing pages – and ravished by a couple of love birds who shared my apartment (before hipness 1987-2006) in Williamsburg, Brooklyn, USA. Never judge a book by it’s cover. This is Tao. At different points in the book, there are stories of how the earliest masters formulated their ideas about Tao. The First Two parts (Nature and Silence) suggest ways in which Tao is observed everyday. Part Three (Books) discusses the proper role of reading and intellectual development. Part Four (Strategy) and Part Five (Movement) take as their background the detailing of change that has been set for in the Yi Jing. Part Six (Skill) and Seven (Craft) discuss the artistic aspects of Tao. The benefits of skill and craft. The next four parts (Conduct, Moderation, Devotion and Perseverance) – focus on the qualities one can cultivate even if one is not yet fully cognizant of Tao. “When life is filled with adversity and everything seems to be against you, remember your goals. You may be poor, you may be alone, you may be ill, you may be oppressed. But no matter what your circumstances, you alway have volition. Take advantage of that. Part Twelve looks at the all-important questions of a spiritual teachers importance. It also discusses some of the problems of being a student. Part Thirteen arrives at the question of the self. 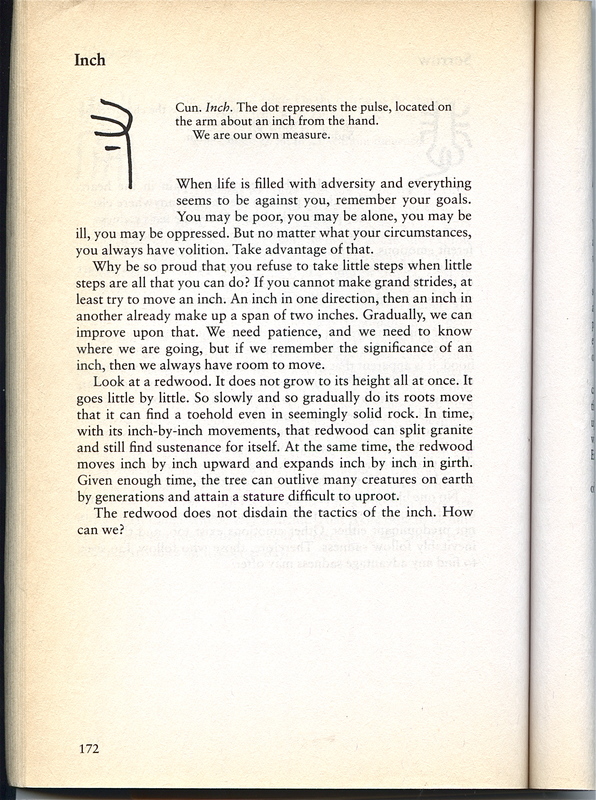 Part Fourteen (Simplifying) speaks of one of Tao’s most central concepts. Part Fifteen (Union) finally comes to the point of direct integration with Tao. The ultimate goal of study is not the accumulation of book knowledge, but the immediate application of our understanding to daily life. This entry was posted in Essential Dish, Uncategorized and tagged Conduct, Craft, Deng-Ming-Dao, Devotion, Everyday Tao, Inch, Moderation, Nature, Perseverance, Silence, Simplifying, Skill, Union. Bookmark the permalink.